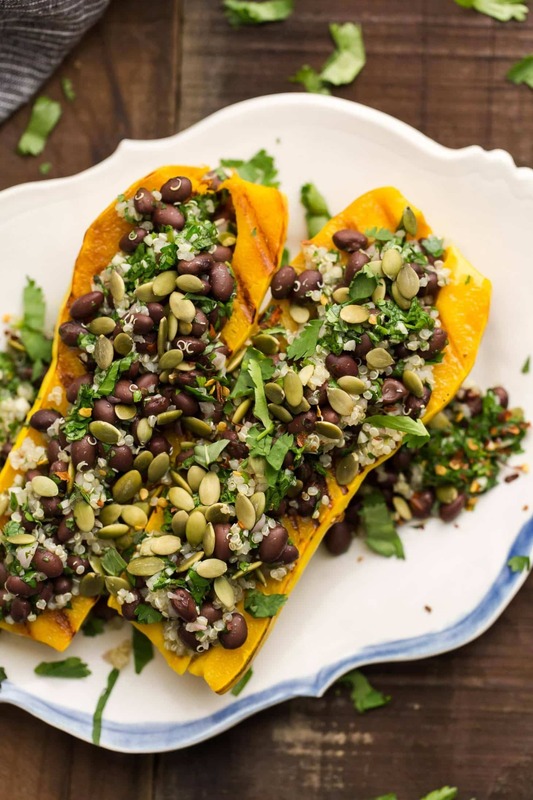 Stuffed Delicata with Chimichurri Black Beans | Naturally. One of my goals every fall is to cook my way through all the hard squashes. Each one is so unique and versatile that it’s a shame to stop with butternut squash. Outside of butternut, delicata is one of my favorites. That’s because it cooks quickly and my favorite part is that there is no peeling required. This stuffed delicata has an easy vegan filling that highlights a favorite condiment of mine. This stuffed delicata squash is an easy and flavorful gluten-free and vegan recipe. The chimichurri recipe makes for than you will need but save it to use as a condiment for tacos, enchiladas, or eggs. Cut delicata squash in half, to create two long boats. Scoop out seeds. Place squash cut side down in a roasting pan. Pour 1 cup of water in pan to steam roast. Bake squash 35 to 45 minutes, until squash is tender when pierced. Remove from oven and let cool. While squash is baking, combine ingredients for chimichurri sauce in a small bowl. Whisk together until well combined. In a medium bowl, combine black beans, quinoa, and 1/2 cup of chimichurri sauce. Mix well. 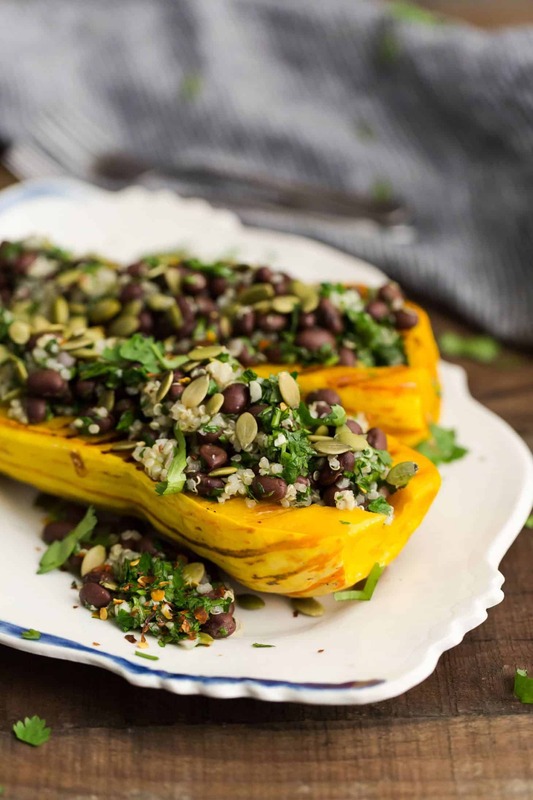 Spoon black bean mixture into delicata squash boats. Top each boat with 1 tablespoon of chimichurri sauce and a sprinkle of pepitas for serving. 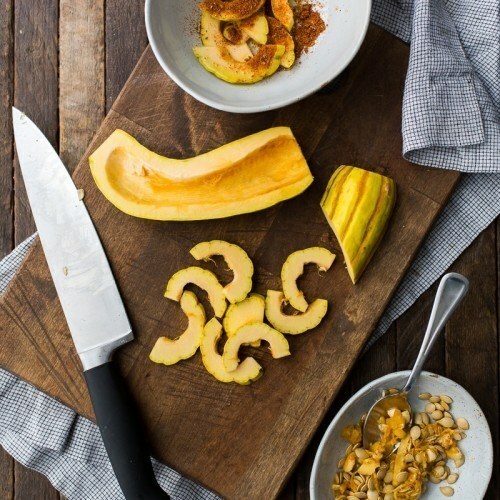 Tips & Tricks: Searing the delicata squash helps it caramelize but is totally optional! Don’t want to mince all those ingredients? You could combine all the chimichurri ingredients in a food processor instead. The main component of this stuffed delicata is the chimichurri sauce. Most recipes use either cilantro or parsley. But I like the flavor of both together, paired with the apple cider vinegar. I recommend a double batch of the sauce (it’s that good!) to use on tacos, eggs, or as a salad dressing! Legumes: This recipe would also be good with white beans, chickpeas, or lentils. Cheese: Add cheese such as feta, cotija, queso fresco. 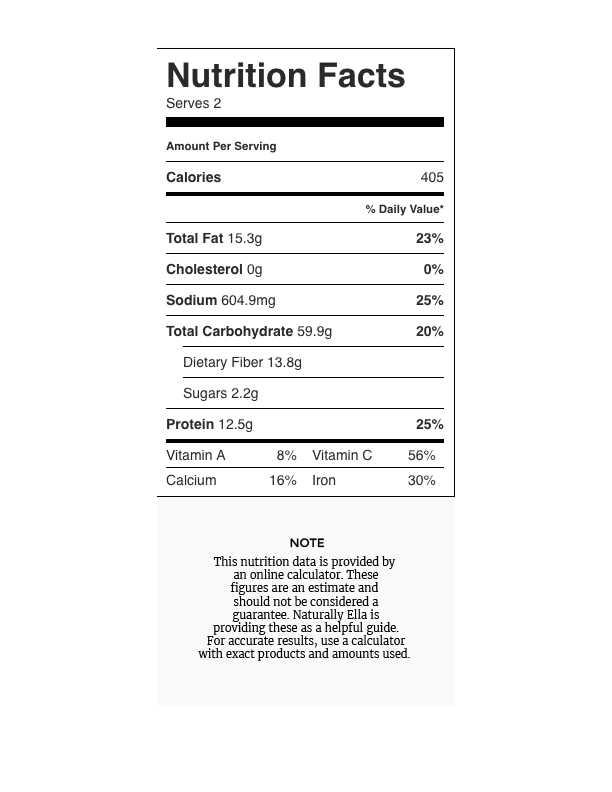 Squash: Don’t have delicata squash? 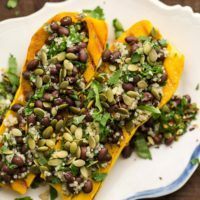 Other roasted squash such as butternut, kuri, or even spaghetti squash would be great with the chimichurri bean salad. Red kuri squash is another squash that has a good edible skin! As mentioned above, delicata is a fall treat for me. It’s a bit easier to work with and can be used in salads, as a main course, or a personal favorite: tacos. When buying delicata squash, look for the squash that have hard exteriors without soft spots.